Phone. My current Android phone. It's the Android Jellybean 4.2 lead device and features a stunning screen, a lightning fast processor, and wireless charging. Fast, thin, light, and with a big beautiful screen, it's the first Nexus device from LG, and for my money it's got the best industrial design so far. Mini Tablet. I'm always juggling between this and the Nexus 10 for my primary tablet needs. Right now, I'm using the Nexus 7 primarily as my in-car head-unit for music and turn-by-turn navigation. Tablet. The screen on this thing is ridiculous, as is the processor that drives it. It's an incredibly powerful tablet with the highest density screen I've ever used. Combined with front facing speakers and multi-day battery life, this thin, light, and beautiful tablet is the ultimate media consumption device. Reading. Since buying a Kindle I've read twice as many books each month as I had before. QED. I love the physicality of hardcover books. I have a collection of near-enough 500 hardback books which you can take from me when you pry them from my cold dead hands. I still buy hardcovers from my favorite authors, but as an alternative for paperbacks the Kindle is a no brainer. I could use the Kindle app on the Galaxy tab, but I find backlit screens unpleasant to read over long periods, and the battery life on a Kindle (especially when you turn off WiFi/3G) is outstanding. Replaced. One of my favorite Nexus devices, it was the lead Ice Cream Sandwich phone and was my favorite Android device since the Nexus One. 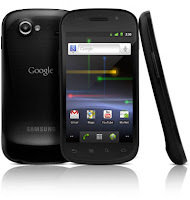 It's industrial design was a game changer for me, making the Nexus S look years out of date. Replaced. I really liked this device. 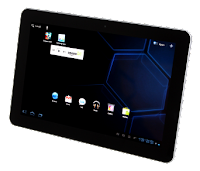 Compared to the Xoom, it was thinner, lighter, and lasted forever between charges. 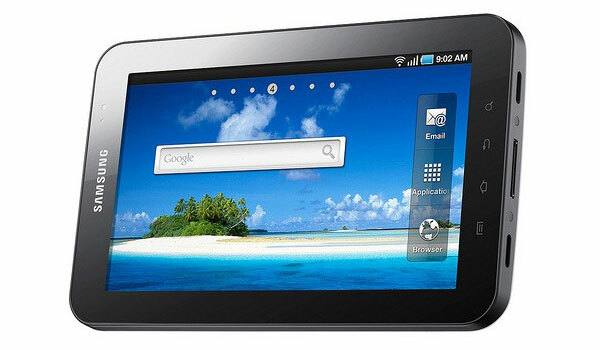 It was the first Android tablet I really wanted to carry around. The Nexus 10 is thinner, lighter, faster, has a ridiculous screen, and is Pure Android, so the Galaxy Tab has been gathering dust. Replaced. The first Nexus device, and probably my longest serving Android phone. I really liked this phone, and carried one around to use for in-car Navigation and testing / demoing apps for a long time. These days I use the Nexus 7 for such things, and the Nexus One has been officially retired. Replaced. Was the lead Gingerbread device and the first to feature NFC and a gyroscope. The Galaxy Nexus has the same beautiful display, but in a thinner, bigger screen device. Replaced. 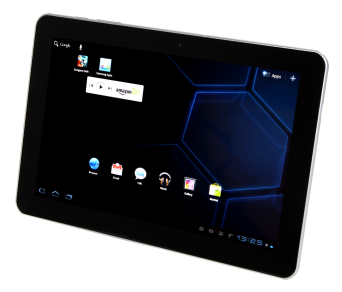 The first Honeycomb tablet, this 16:10 10.1" dual-core beast was a lot of fun to play with. It's heavy though, and thick, compared to the Samsung tablets. When I started playing with the Galaxy Tab 10.1 I found myself leaving this one at home. Replaced. I used to love this for travelling, but the 10.1" Tab is about the same weight, thinner, and has a bigger screen - making it perfect for playing games and watching movies on flights. Disused. I loved my PSP for about 6 months before it gradually fell into disuse. I finished NBA Street Showdown and at least two titles from the Burnout franchise during my commute before a combination of an impending book deadline and the seemingly interminable load times for saved games in Dungeons & Dragons Tactics resulted in it lying forgotten and uncharged at home. These days my Nexus 4/7/10 devices provide all the game playing entertainment I need. Replaced. Though I didn't mention it in my acknowledgements, my first netbook - the Eee PC 701 - deserves significant credit for my first Android book being written. I bought it for £200 on Tottenham Court Road for the express purpose of using it to write my book. Cheap, light, and with a fast SSD disk and sub-10 second boot time, nearly every word and line of code that went into the first edition was written on this. 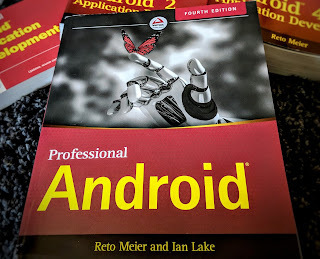 I bought the Eee PC 1005 as a replacement for writing the 3rd edition of Professional Android, but I was seriously disappointed. The SSD is gone, it's bulkier, heavier, thicker, and it cost more. Now I just use my MacBook Pro to do my writing and my tablet(s) for email, gaming, movies, etc. Replaced. My first proper digital camera, and still a favourite. Compact and featuring touch screen controls, this 8.1 MP camera helped to ignite my interest in photography. Some of my favourite pictures where taken with this handy little camera. Replaced. The first Android device with a WVGA screen and running Android 2.0, it was also the first CDMA Android phone making it decidedly less useful once I brought it back home to London. 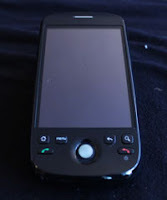 Luckily the first Nexus One prototypes weren't far behind. Replaced. The first Android device I got to play with before anyone else and the first phone we gave away to all attendees at Google I/O. Replaced. My first Android phone, and still my favourite smartphone keyboard. When I got this my book was written (though not yet published) and I was still working at Goldman Sachs. Seems like a lifetime ago - was actually 2008. Replaced. My first smartphone(!) and one of the first things I bought after moving from Australia to London in 2005. It had a touch screen, QWERTY keyboard, and Internet access - which combined with Google's Maps and Gmail apps gave me a glimpse of what the future might hold. Disused. Kicking it old. Skool. I bought an AV320 instead of an iPod back in 2003. It seemed like an obvious choice at the time as it let me watch video as well as listen to music. It's 20Gb hard drive wasn't solid state, so you could feel it spin if you moved it while it was on. I remember thinking at the time how awesome if would be if you could write apps that would run on it.